Surrounded by a beautiful environmental reserve and a large park, Lake Westerra in Stony Plain boasts all of the amenities of big city life, but with the feel of small town living. 1363 Westerra Dr, Stony Plain, AB. Enjoy all of the great shopping, restaurants, and more in the town of Stony Plain. You'll also have easy access to head into Edmonton when you need. 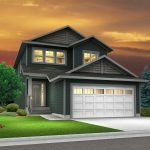 Visit the new Pandorian in the scenic community of Lake Westerra in Stony Plain.